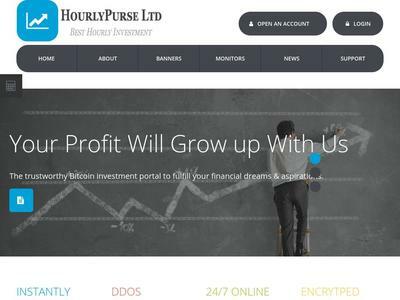 HourlyPurse Ltd. es una compañía de inversión, que fue fundada por comerciantes comerciales con diez años de experiencia de actividad exitosa en el mercado Forex, así como intercambios de criptomonedas. Desde 2007, nuestro equipo desarrolla sus propias estrategias de negociación y cambio de divisas aplicando todos los conocimientos profesionales, técnicas y habilidades que nos permiten generar flujos de efectivo estables con un riesgo mínimo de pérdida financiera. Estas reglas son desarrolladas por expertos en el campo del comercio de divisas múltiples y el análisis fundamental del mercado Forex, son ideales para nuestro negocio y se mejoran constantemente. The amount of 20 USD has been withdrawn from your account. 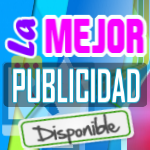 Accounts: U4222871->U16921186. Memo: Shopping Cart Payment. Spend from nelomota.. Date: 09:16 02.07.18. Batch: 219878835. The amount of 0.82 USD has been deposited to your account. 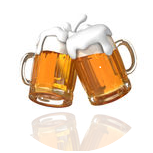 Accounts: U16921186->U4222871. Memo: API Payment. Your withdrawal request from HourlyPurse Ltd.. Date: 11:50 02.07.18. Batch: 219893079. The amount of 4.45 USD has been deposited to your account. Accounts: U16921186->U4222871. Memo: API Payment. Your withdrawal request from HourlyPurse Ltd.. Date: 10:19 04.07.18. Batch: 220093621. The amount of 2.49 USD has been deposited to your account. Accounts: U16921186->U4222871. Memo: API Payment. Your withdrawal request from HourlyPurse Ltd.. Date: 23:33 03.07.18. Batch: 220059233. The amount of 1.24 USD has been deposited to your account. Accounts: U16921186->U4222871. Memo: API Payment. Your withdrawal request from HourlyPurse Ltd.. Date: 17:19 03.07.18. Batch: 220032625. The amount of 2.9 USD has been deposited to your account. Accounts: U16921186->U4222871. Memo: API Payment. Your withdrawal request from HourlyPurse Ltd.. Date: 14:34 03.07.18. Batch: 220016432. The amount of 0.51 USD has been deposited to your account. Accounts: U16921186->U4222871. Memo: API Payment. Your withdrawal request from HourlyPurse Ltd.. Date: 14:12 04.07.18. Batch: 220114789. The amount of 2.48 USD has been deposited to your account. Accounts: U16921186->U4222871. Memo: API Payment. Your withdrawal request from HourlyPurse Ltd.. Date: 20:19 12.07.18. Batch: 220960399. The amount of 5.79 USD has been deposited to your account. Accounts: U16921186->U4222871. Memo: API Payment. Your withdrawal request from HourlyPurse Ltd.. Date: 10:51 13.07.18. Batch: 221006112. The amount of 4.56 USD has been deposited to your account. Accounts: U16921186->U4222871. Memo: API Payment. Your withdrawal request from HourlyPurse Ltd.. Date: 21:18 13.07.18. Batch: 221057315.
vamos con ciclo de 50 a 1 suerte.